The ultimate photography template for Joomla! Stock photo websites are popping up everywhere. 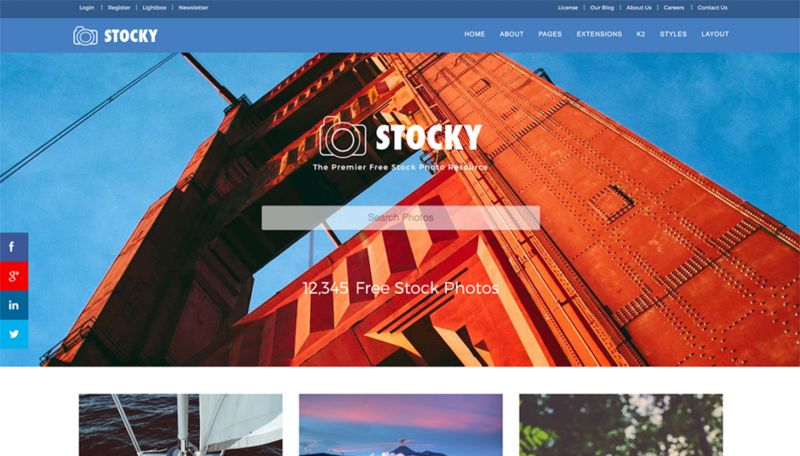 Stocky is the ultimate photography template for Joomla! The template is ready to be deployed as a free stock photo site, a paid stock photo site or even just a photo blog, Stocky does it all!